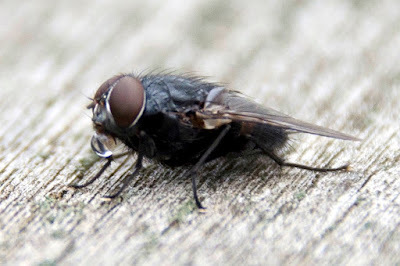 I saw this fly today while walking in a park in Moorestown, New Jersey. Click to enlarge and you will see that it is blowing a bubble. As I watched, it blew the bubble about twice as large as pictured above and then sucked it in and then blew it up again and sucked it in three times! Then it flew away. It's the third insect I've found bubbling. 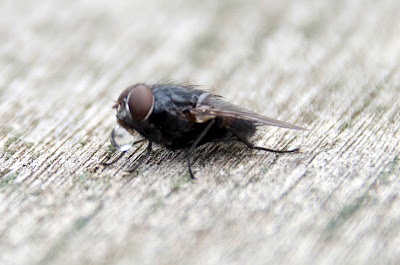 I wrote blogs previously about a fly and then a bee I saw bubbling. There are theories about why they do this but no agreement. Based on the number of times I've seen it in just a few years I'm beginning to think it must be common -- or else I'm just freakishly lucky. You can go to my bubbling insect blogs by clicking on this sentence.